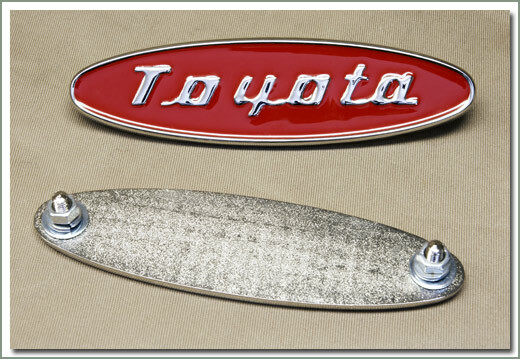 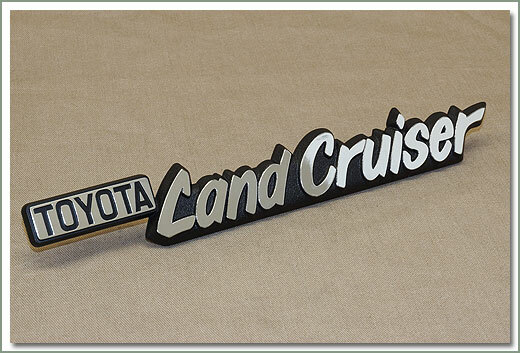 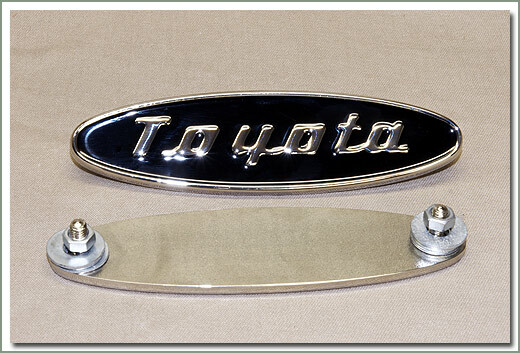 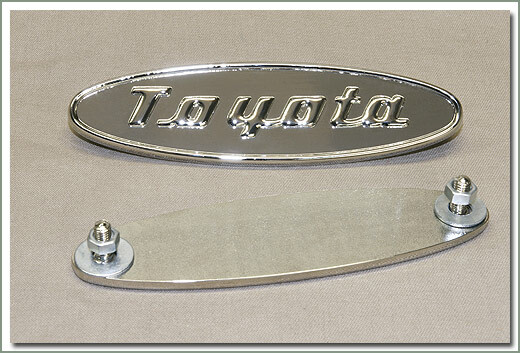 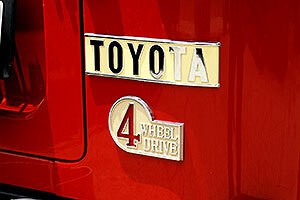 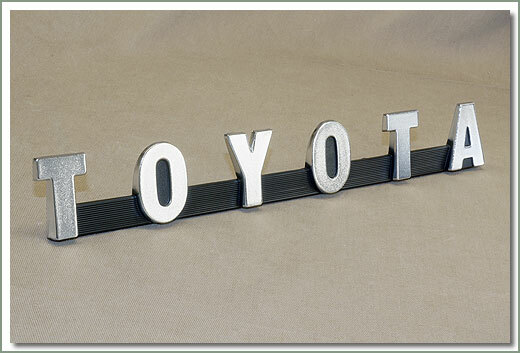 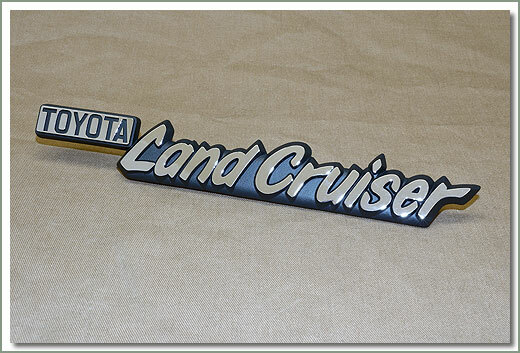 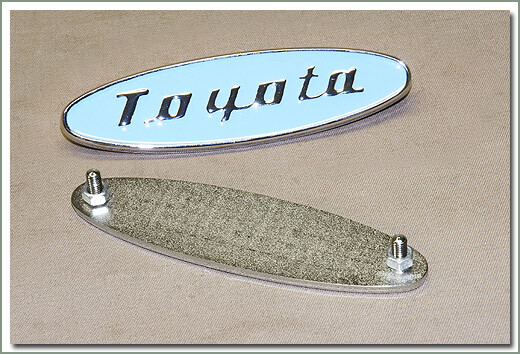 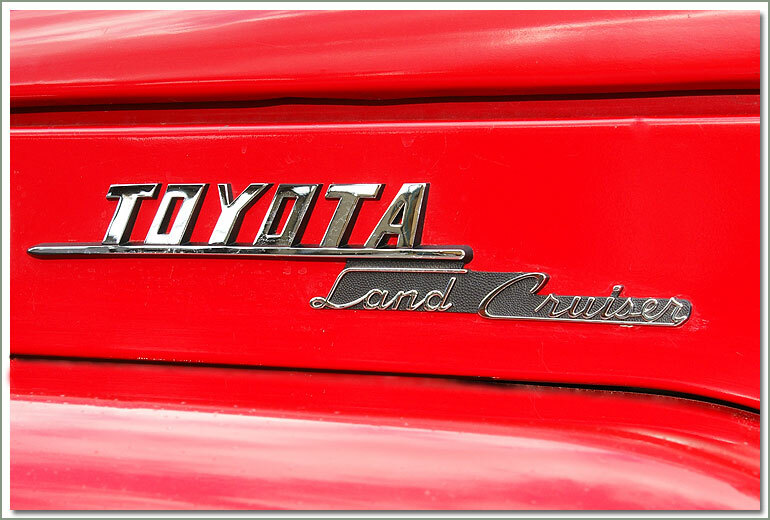 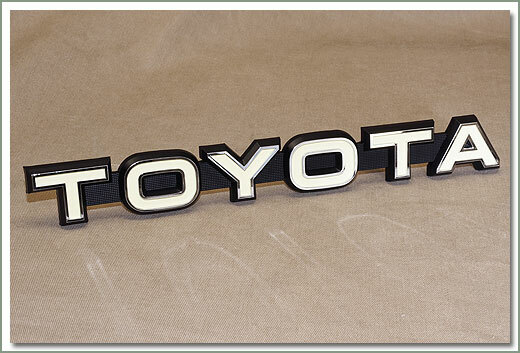 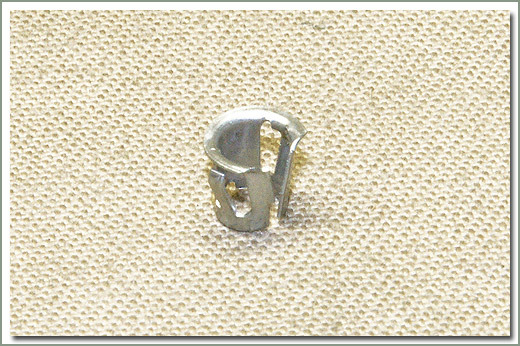 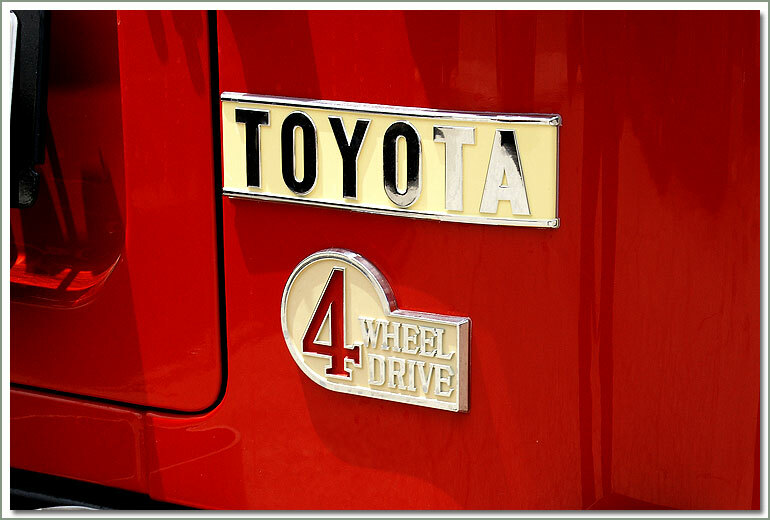 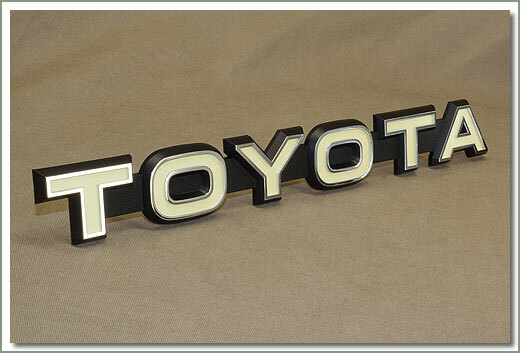 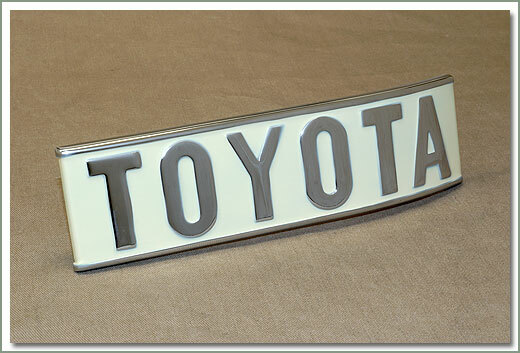 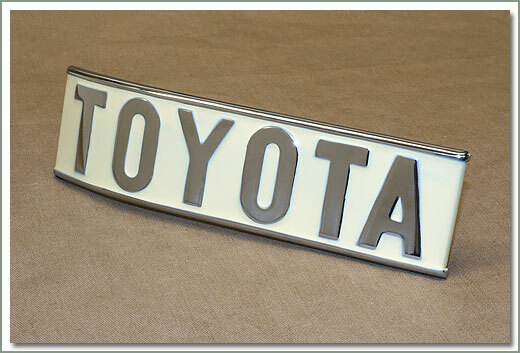 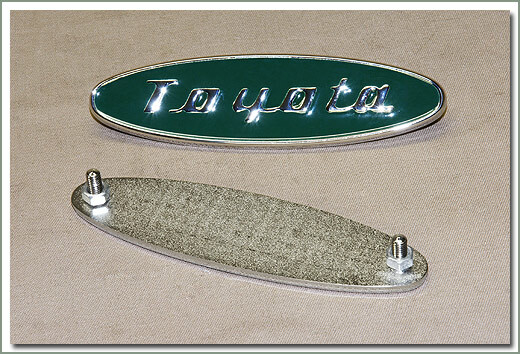 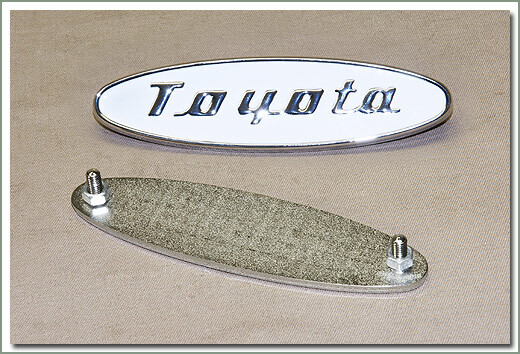 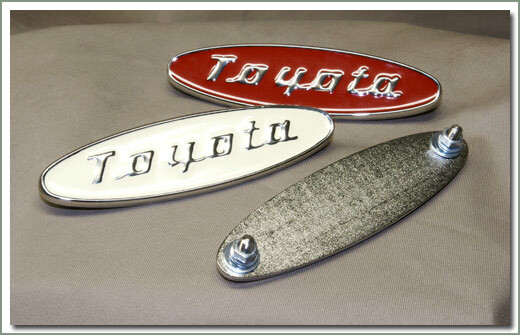 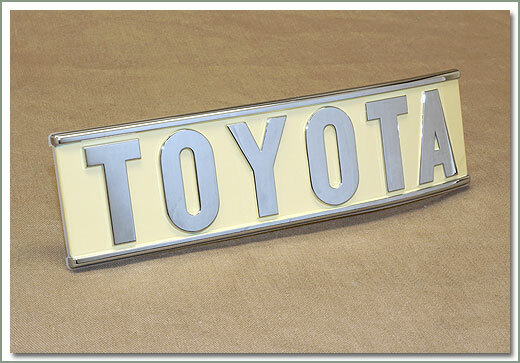 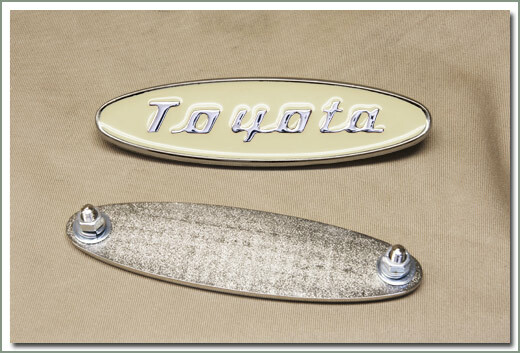 Reproduction early Toyota Emblem - measures 5-1/2 inch long x 1-1/2 inch tall - excellent quality - comes with mounting hardware. 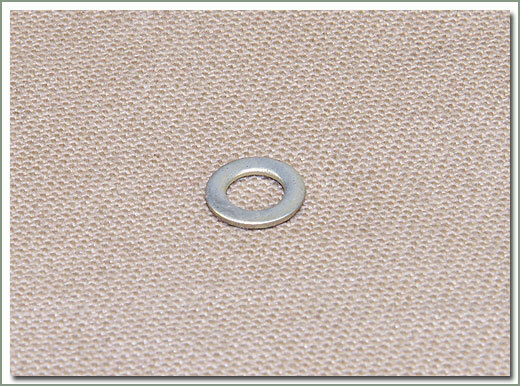 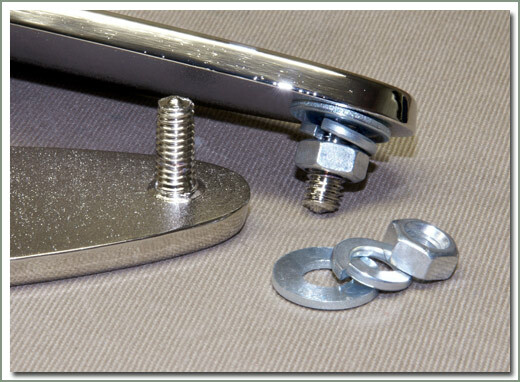 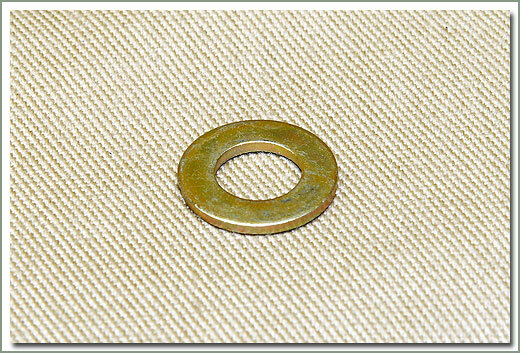 Fits 1958-12/74 40 series - Does not come with fasteners/hardware - Order qty 2 each 161-10 Nuts, 161-25 Lock Washers and 161-26 Flat Washers. 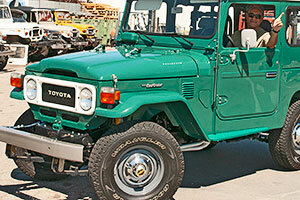 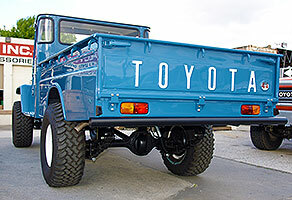 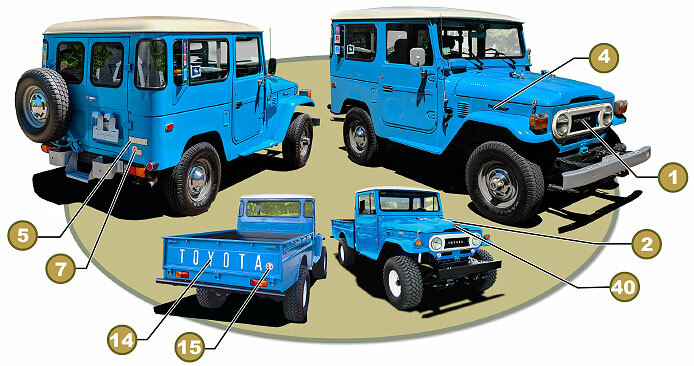 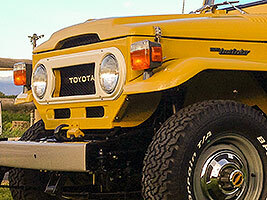 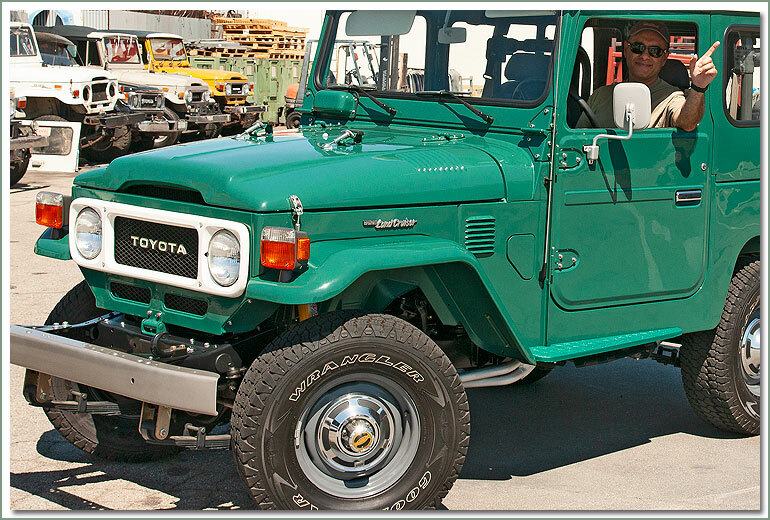 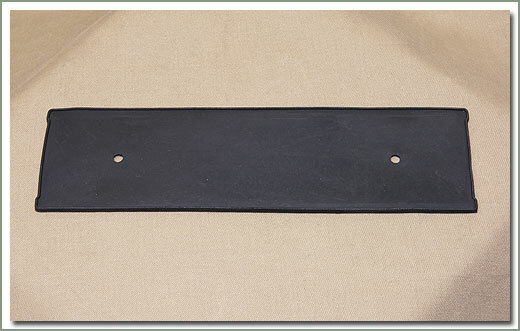 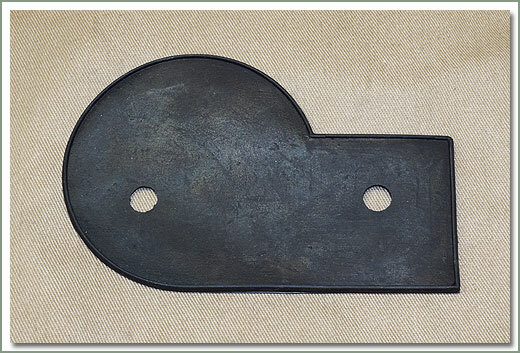 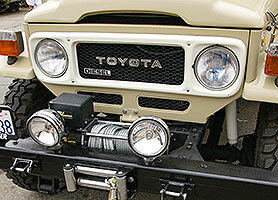 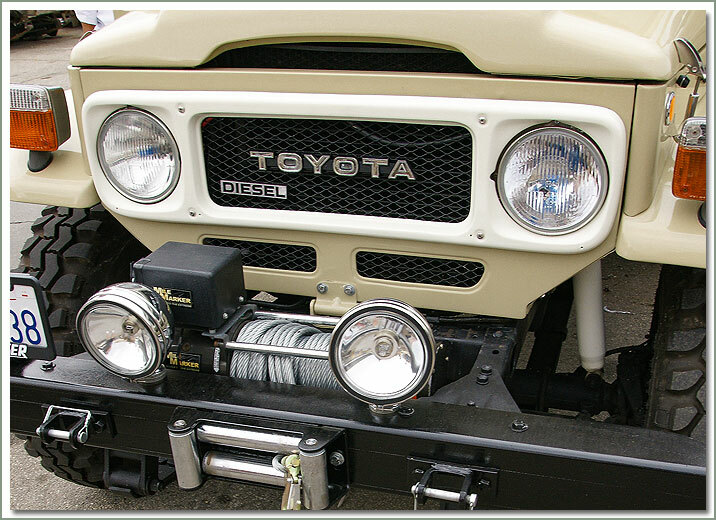 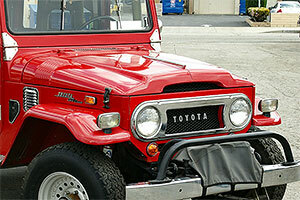 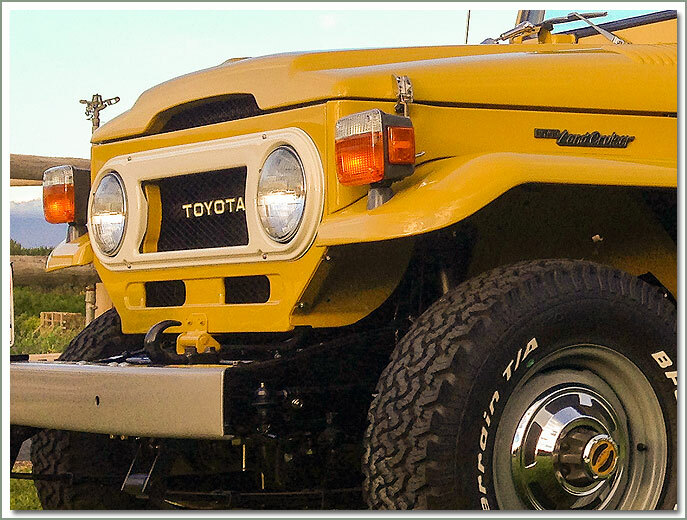 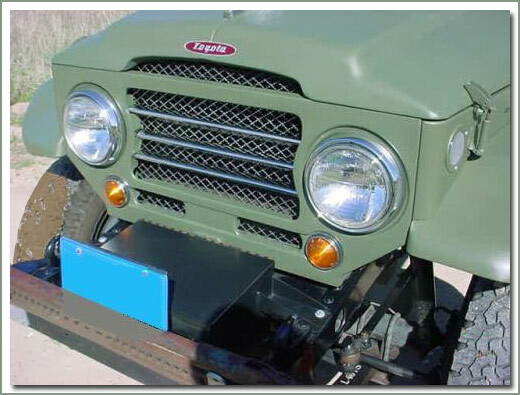 Fits 1/75-1/79 FJ40/BJ42 - Does not come with fasteners - Order qty 2 each 161-09 Clips and 161-10 Nuts. 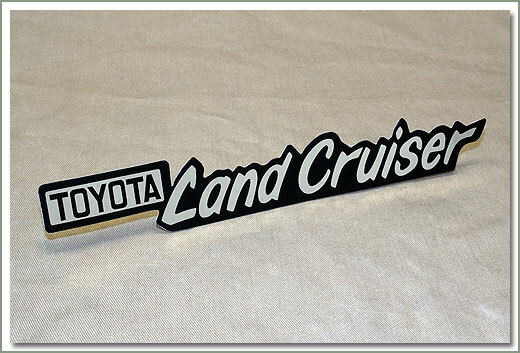 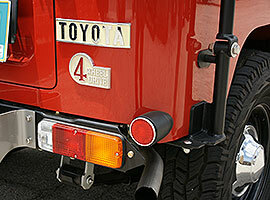 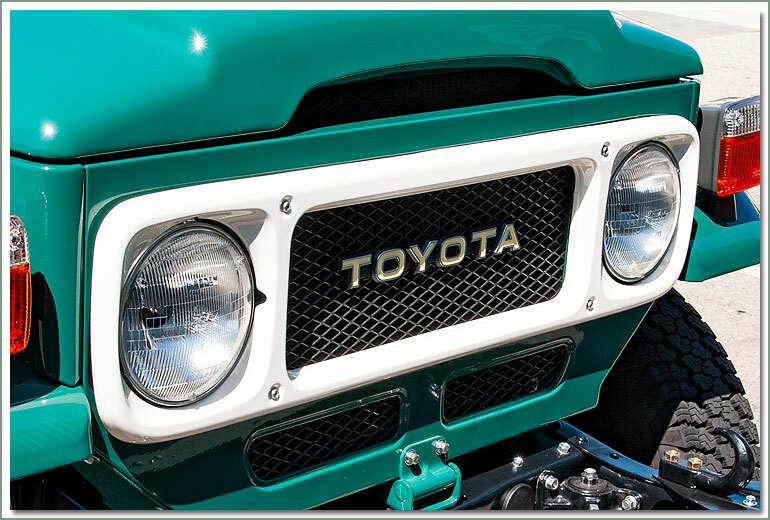 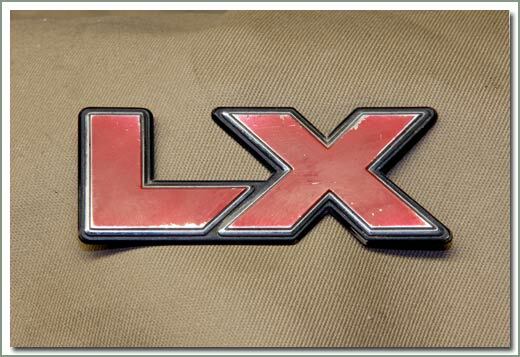 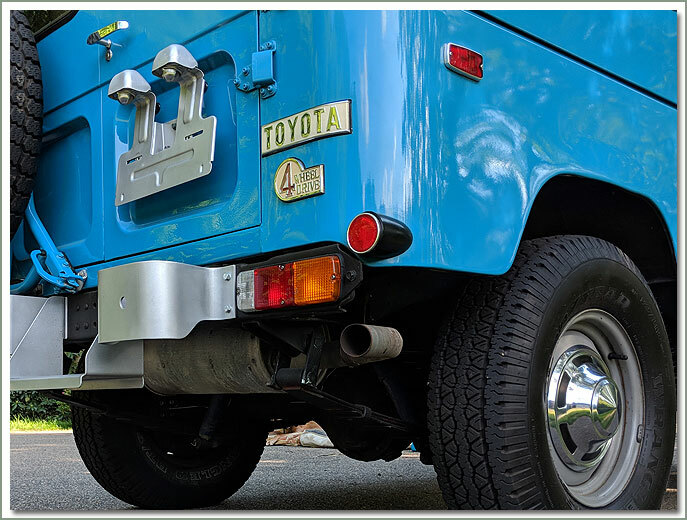 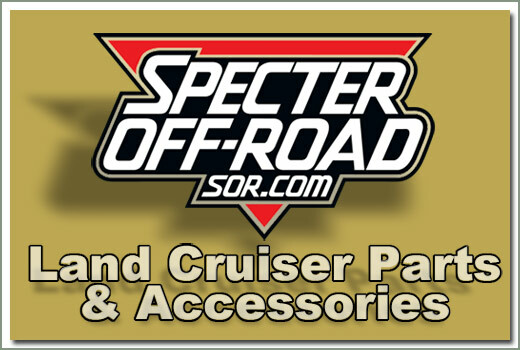 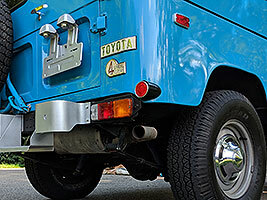 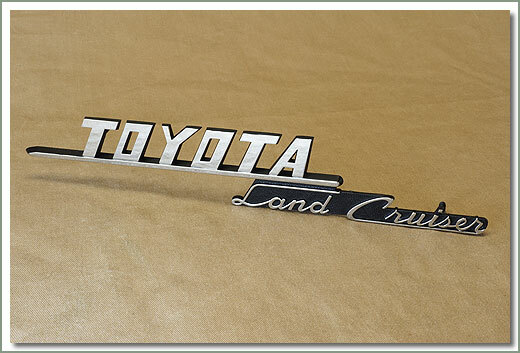 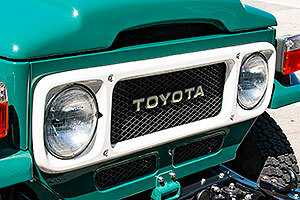 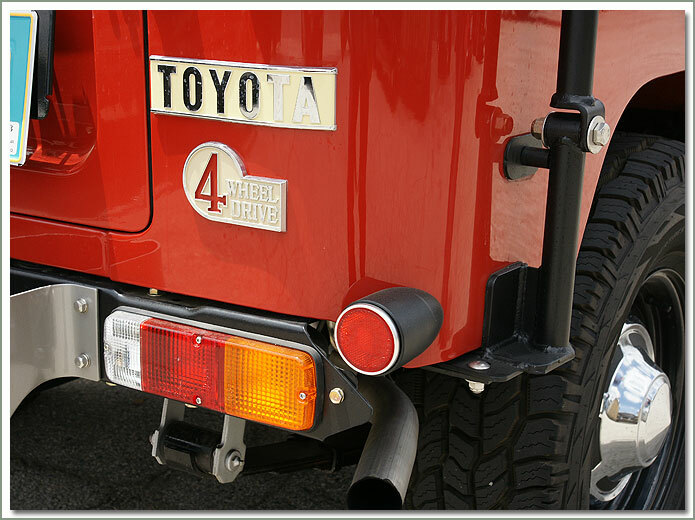 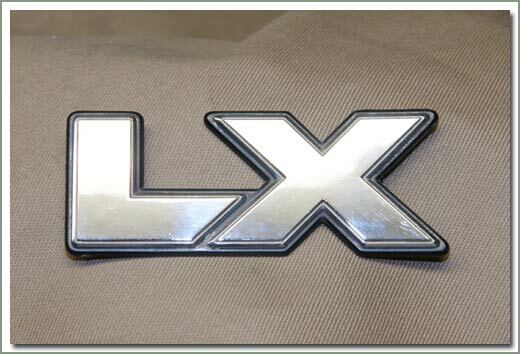 Fits 1/79-1984 FJ40 & BJ42 - Clear emblem pad is affixed to emblem, includes retainer clips. 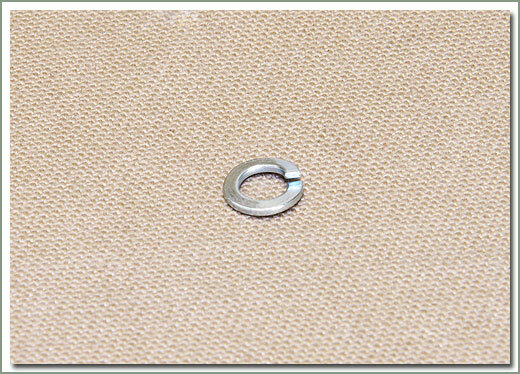 Fits 1/79-1984 FJ40 & BJ42 - Not guaranteed to have fasteners - Order qty 2 each 163-35A. 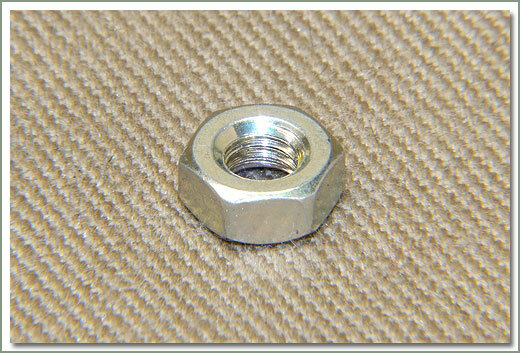 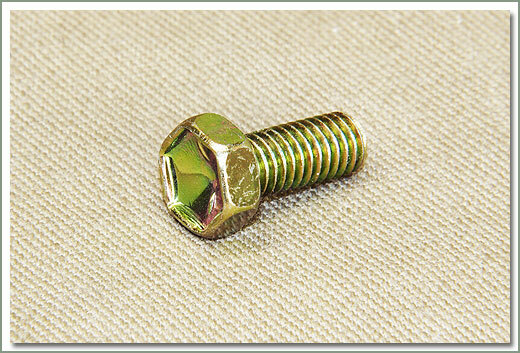 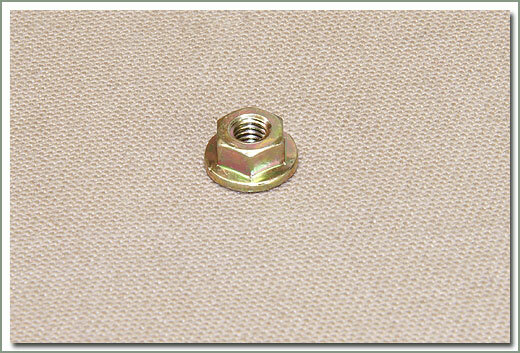 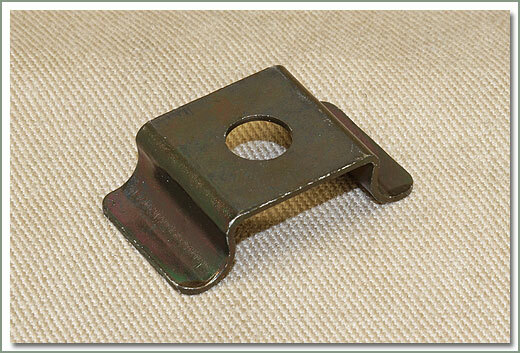 Fits 1958-12/78 40 Series - Does not come with fasteners - Order qty 2 each 161-09 Clips and 161-10 Nuts. 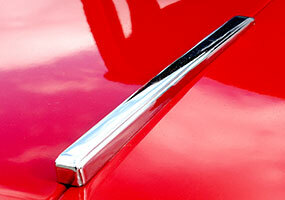 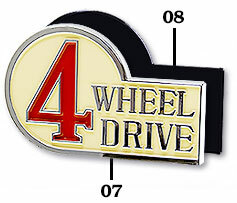 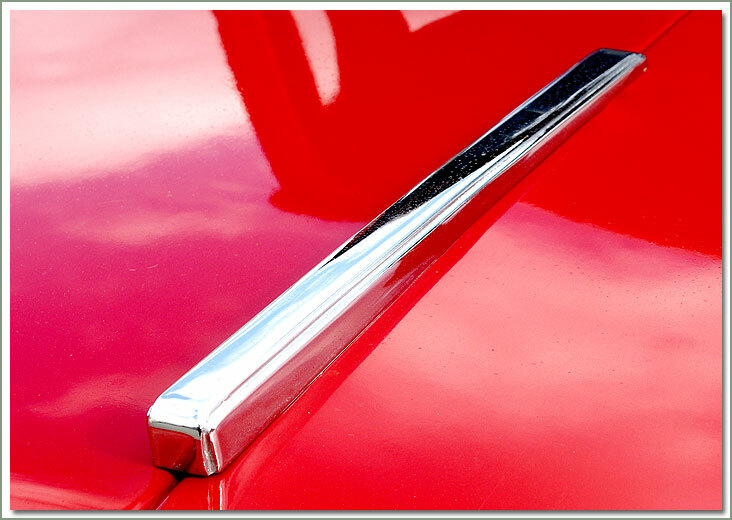 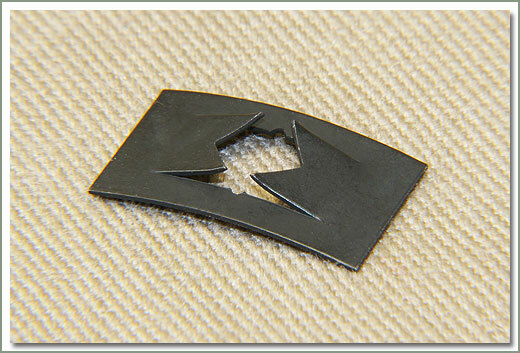 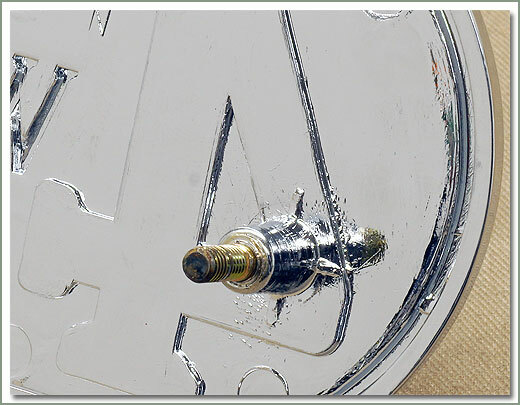 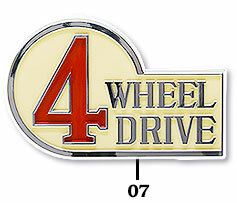 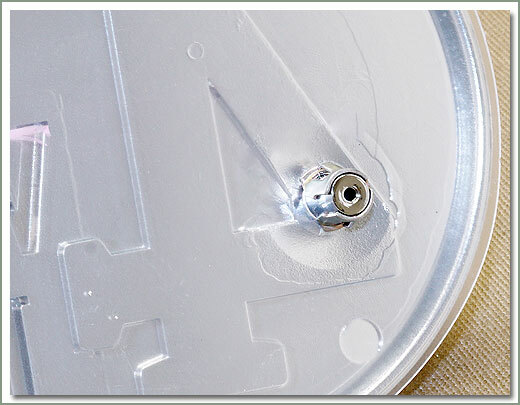 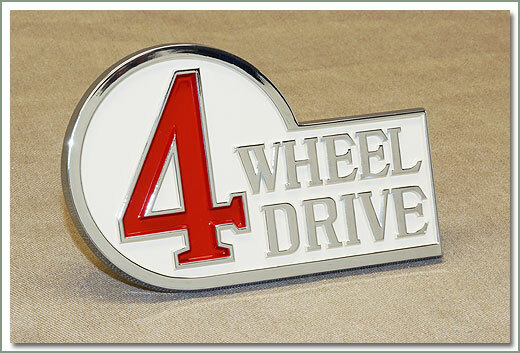 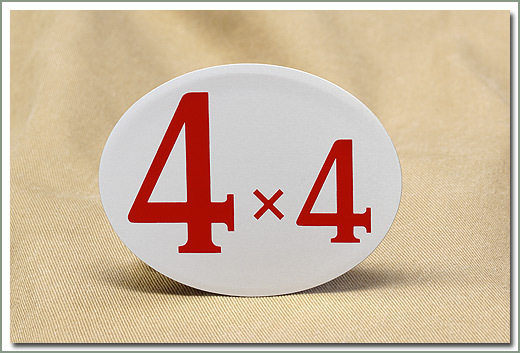 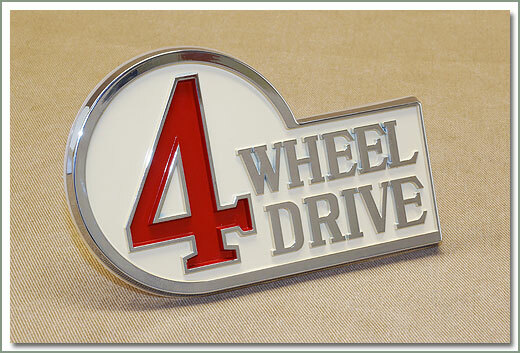 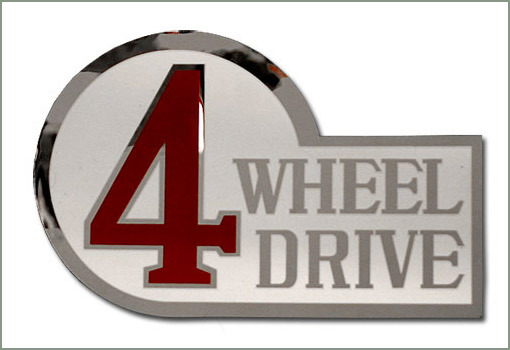 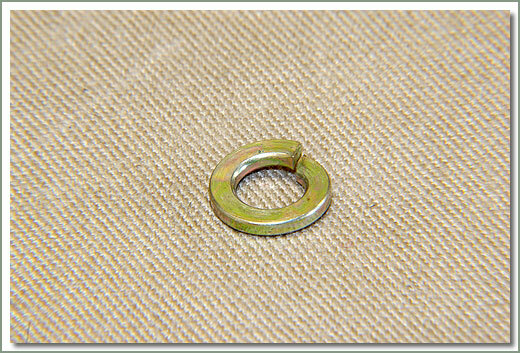 Fits 1/79-1984 40 Series - Clear emblem pad is affixed to emblem, includes retainer clips. 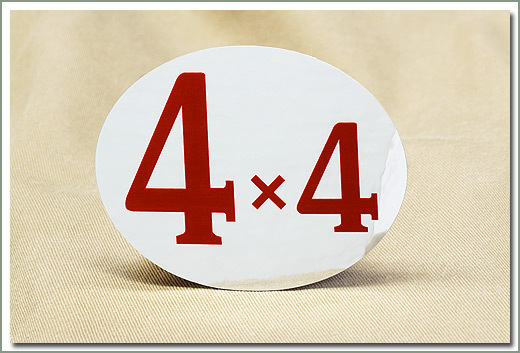 Reproduction quality self adhesive back on aluminum. 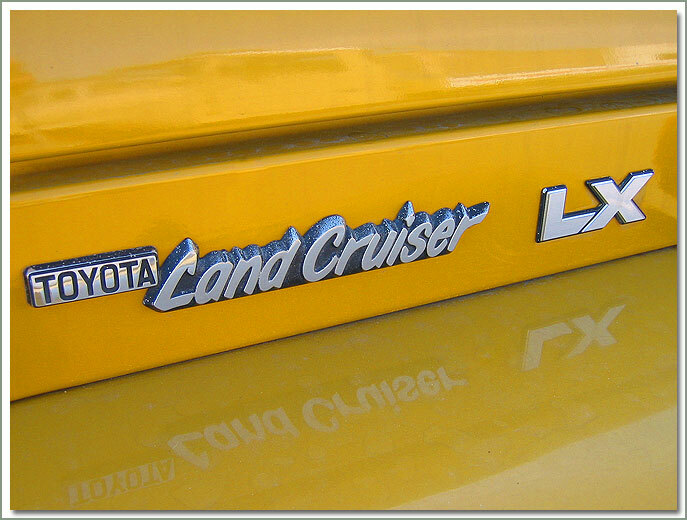 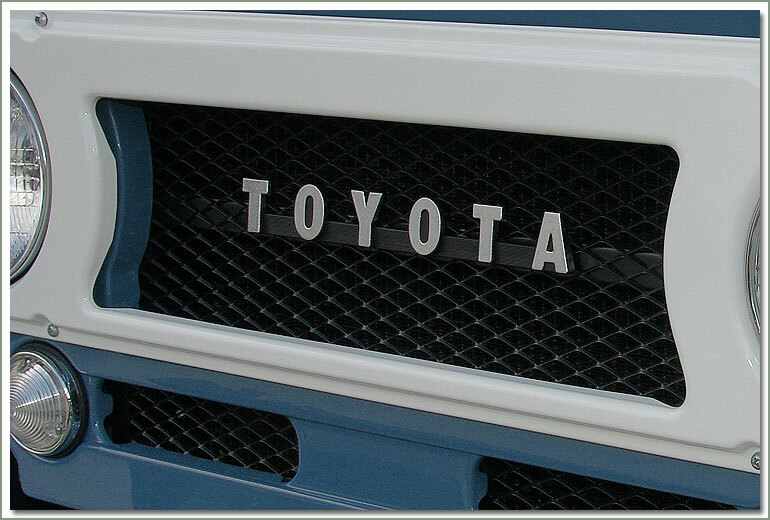 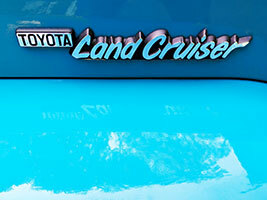 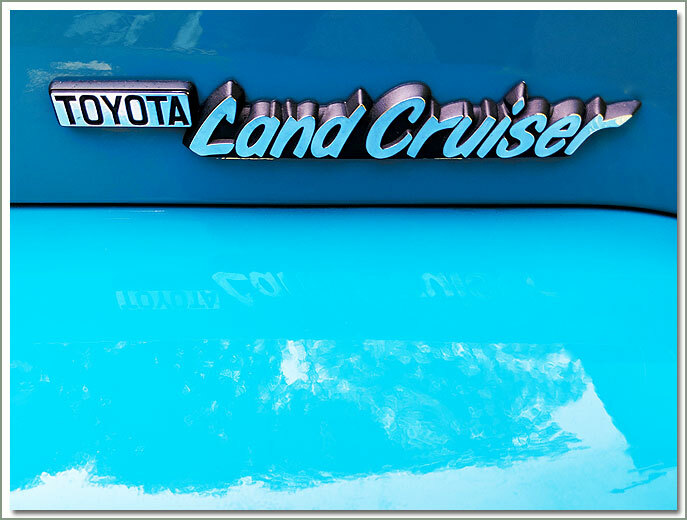 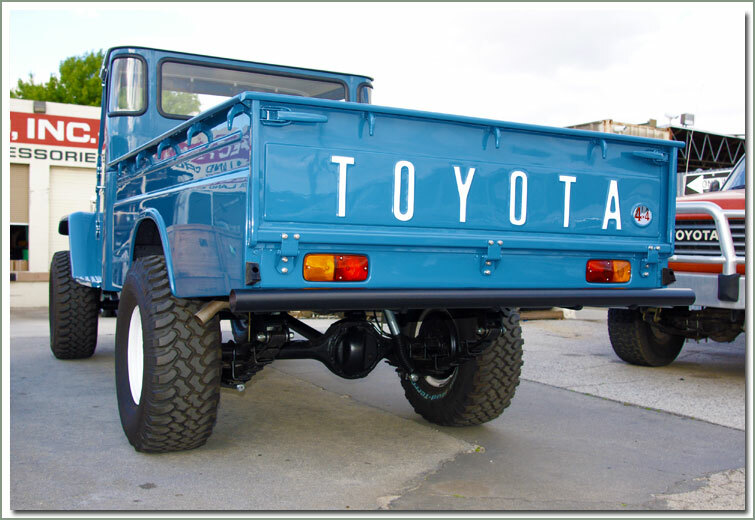 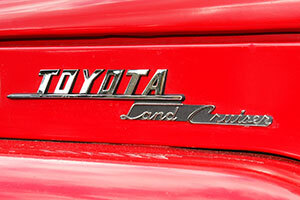 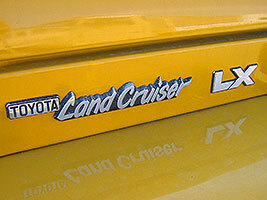 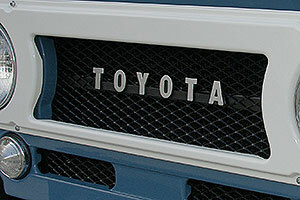 UV resistant print - Original location rear tail gate panel.